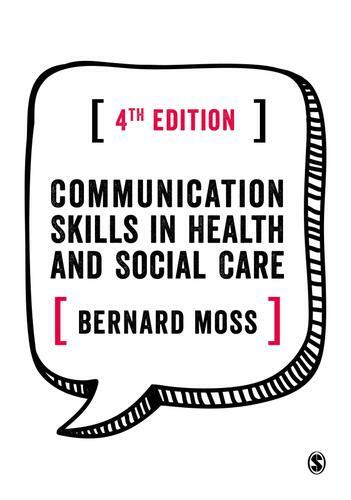 Our ability to communicate is a key part of everyday life and is an essential skill, particularly when communicating with vulnerable people in a health and social care setting. Presented in a unique and easy-to-use dictionary format, this practical guide will help students and practitioners understand and apply the principles of effective communication. From the ‘how to’ practicalities through to challenges and honing existing skills, this book will ensure they have the confidence and knowledge to communicate skilfully and successfully in many different contexts and settings. New entries covering social media, mindfulness, several tricky topics, and much more. Service user snippets to help address and understand the issues about service user perspectives. Skills to ensure you are engaging with the Professional Capabilities Framework.